Click here to view Regina's Liturgical Wake Service. Click here to view Regina's Mass of Christian Burial. 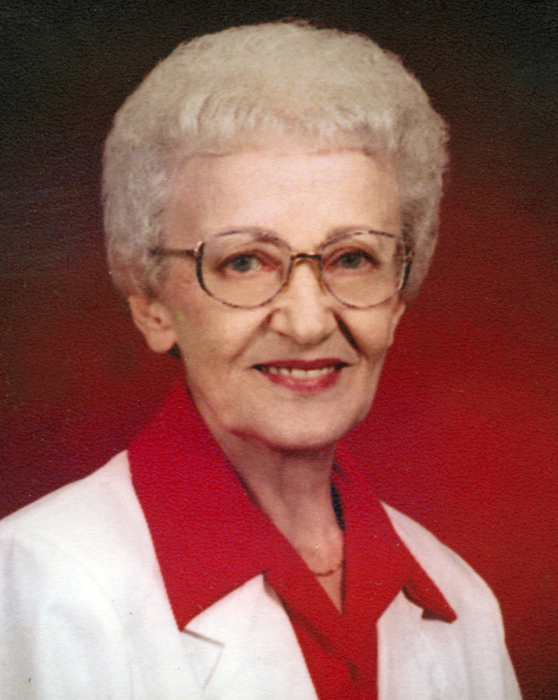 Regina L. Brick, 91, of Aberdeen, SD, passed away Saturday, February 2, 2019, at Avera St. Luke’s Hospital in Aberdeen. Mass of Christian burial will be 11:00 a.m., Wednesday, February 6, 2019, at St. Mary’s Catholic Church, 409 2nd Avenue NE, Aberdeen, with Father Michael Griffin as celebrant. Visitation will be 5-7 p.m., Tuesday, at the mortuary, with a liturgical wake service beginning at 7:00 p.m. Visitation continues one hour prior to Mass at the church on Wednesday. Family and friends may sign Regina’s online guestbook and view her service via the live stream service link at www.schriversmemorial.com. Regina L. Hatzenbeller was born February 25, 1927, to Valentine “Walter” and Mary (Bullock) Hatzenbeller in Aberdeen, SD. She lived in Aberdeen her entire life and attended St. Mary’s School and Aberdeen public school. At a young age, Regina began working at Heintzman Grocery and also at Burchards Northside Bakery. Regina was united in marriage to Duane W. Brick on December 2, 1947, in Aberdeen. The couple made Aberdeen their home, where Regina kept busy as a housewife and mother. Regina and Duane raised six children and shared over 51 years of marriage before he passed away on February 15, 1999. She continued to reside in Aberdeen until the time of her death. The family home was the gathering place for many holidays and celebrations. Regina loved spending time with her children, grandchildren and great-grandchildren. She and Duane enjoyed going dancing every Saturday night. Regina was a life-long member of St. Mary’s Catholic Church in Aberdeen. Blessed to have shared in Regina’s life are her children: Stephen D. (Kathy) Brick of Mesa, AZ, David W. (Rita) Brick of Union, KY, Susan M. (Terry) Kolb of Ipswich, SD, Sister Eileen L. Brick of Watertown, SD, Janet L. (Jim) Heier of Aberdeen, and Barbara (Duane) Meidinger of Plankinton, SD; 11 grandchildren; 20 great-grandchildren; and several great-great grandchildren. Regina is preceded in death by her husband, Duane; her parents; seven brothers: Jack, Philip, Mike, Joseph, Valentine, and two brothers in infancy; and two sisters, Lucy and Clara.